The Unicode Consortium is inviting artists and designers to submit cover design proposals for Version 10.0 of The Unicode Standard. 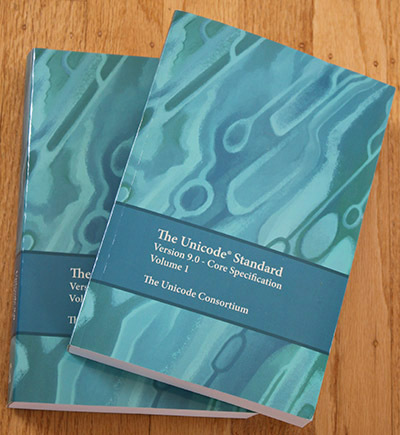 The cover design will appear on the Unicode Standard 10.0 web page, in the print-on-demand publication, and in associated promotional literature on the Unicode website. The chosen artist will receive full credit in the colophon of the publication, and wherever else the design appears, and receive $700. The two runner-up artists will receive $150 apiece. Please see the announcement web page for requirements and more details.